Like a classic strand of fine pearls, Oneida Needlepoint flatware pattern is always in style, and always appropriate. A detailed beaded border defines its graceful shape and brings casual elegance to any dining establishment. This durable design is a perfect choice for a wide variety of tabletops. 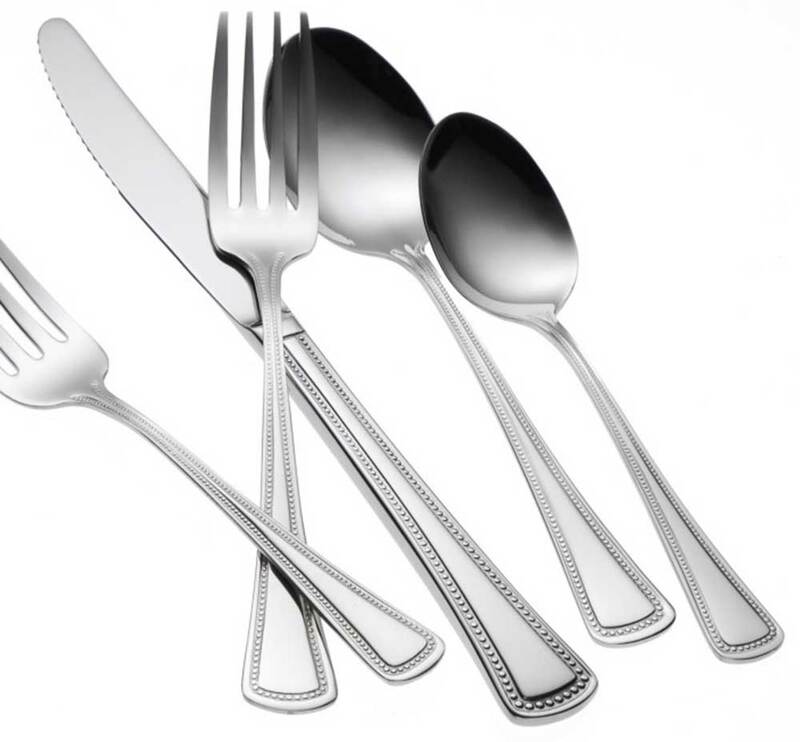 18% chrome stainless steel, 10% nickel construction, superb finish, and pattern detail, all give this pattern long lasting durability you can count on from Oneida.